"Ghazi" director Sankalp feels "Baahubali" will happen once in a lifetime. 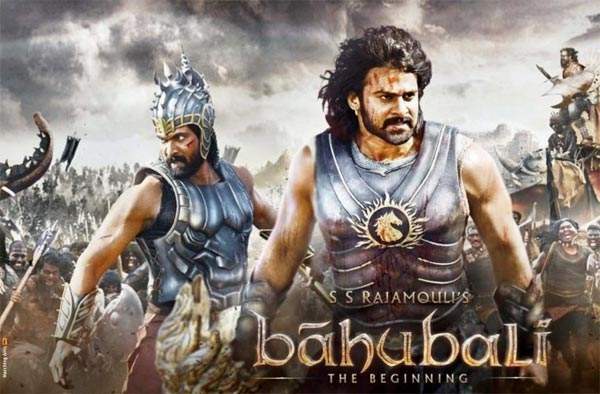 CHENNAI: It's been two years since the release of the first part of S.S. Rajamouli's "Bahubali" franchise and there is so much to learn from its success, feel the next-gen filmmakers such as Chandoo Mondeti, Nag Ashwin and Sankalp Reddy. The success of "Bahubali" as a franchise across the length and breadth of the country has proved language is a "superficial barrier", says director Nag Ashwin. "If Hollywood films can work in India, why can't Telugu films work outside Telugu states? I think 'Bahubali' broke the language barrier and proved that great content can go beyond regional boundaries," Ashwin told IANS. "It was a very well planned franchise which got the marketing and packaging right," he said. "Bahubali: The Beginning" was the first dubbed Hindi film to have earned over Rs 100 crore at the box office. The second part in the franchise minted over Rs 500 crore in Hindi. The Tamil version of both the parts minted over Rs 250 crore. "It's the product of a filmmaker who dared to dream and he dreamt big. There will always be one such film for every generation, just like how 'Maya Bazaar' and 'Sankarabharanam' were celebrated. But it's very important to not get carried away by this success," Sankalp said. Putting it into perspective, Sankalp added: "Everybody can't make a 'Baahubali'. Rajamouli had a vision and he worked really hard for it. We can't make a big film just because he made and succeeded." A Rajamouli fan, director Chandoo Mondeti says the success of "Bahubali" made him realise the importance of drama and emotions to connect with the masses. "Irrespective of the size of the film you are making, it's essential that it works on an emotional level. Every film of Rajamouli has worked because he gets the emotions right. His films work beyond regional boundaries because even non-Telugu speaking audiences can relate to the emotions," Mondeti said. He also added that Rajamouli has successfully widened his market with each film. "It's been a very strategic rise to the top. A case study can be made on his career. He didn't straight away make a 'Bahubali'. He kept pushing boundaries and expanding the market with each film. That growth as a filmmaker is very important," he said. On Monday, the second anniversary of the film, producer Shobu Yarlagadda remembered "Bahubali: The Beginning" as a "defining moment" in the careers of the entire team. "We passed the biggest test of our careers! We lived to tell the tale," he tweeted. "Bahubali" franchise is the biggest grossing Indian film with combined earnings of over Rs 2000 crore.